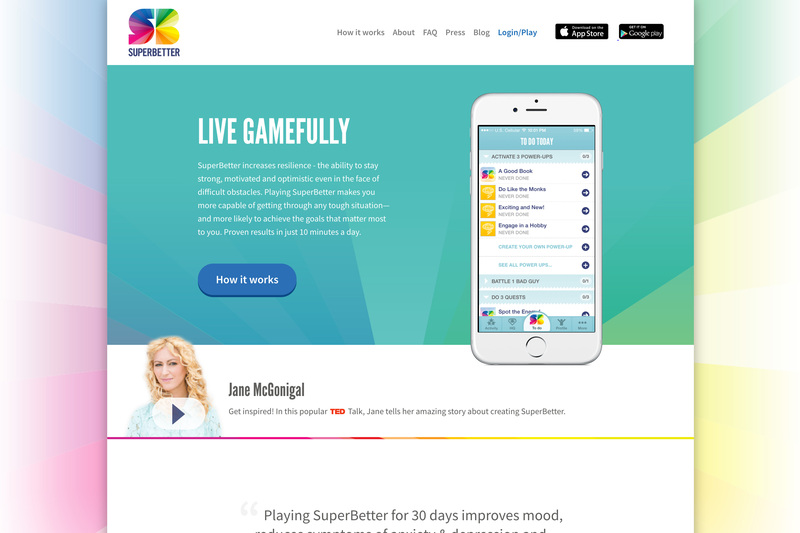 SuperBetter is a mobile and desktop game that empowers you to achieve your goals and live a better and healthier life. They came to Clutchwork seeking a fresh and modern look for their website. 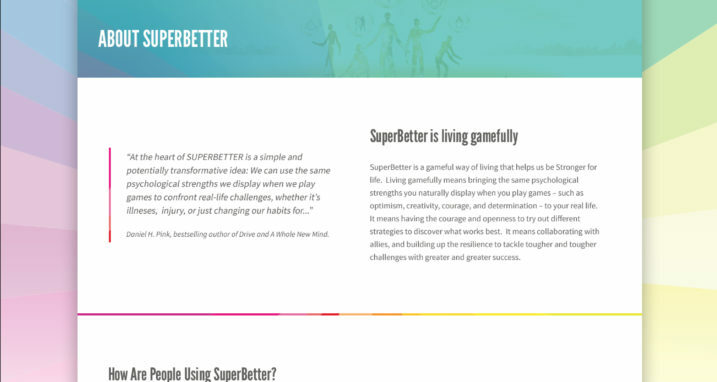 The two goals of the redesign were to entice viewers to either sign up to play online or to download the mobile app, and we came up with a design that captured the vibrant and playful look of the SuperBetter brand. 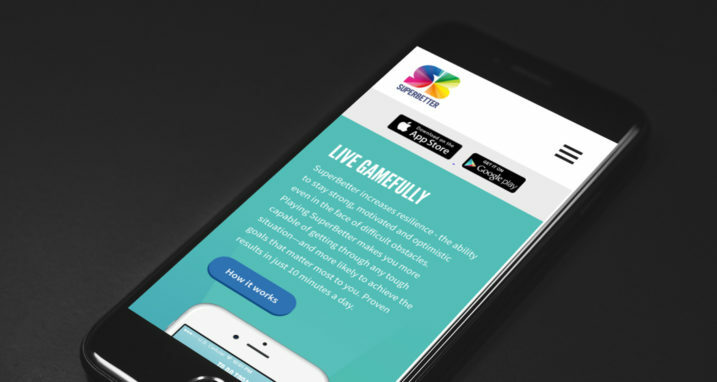 Built responsively mobile-first, the simple site makes finding and downloading or signing up a pleasant experience!